Eric Ramahatra was born on May 22th 1977 in Antananarivo Madagascar. He is one of the last and only Prince Ramahatra’s great-grandson (1858-1938). During his Bachelor’s degree and Engineering in Computer Science, he started Photography in his twenties and went through Kodak, INA and was Certified Still Photographer on Set from the Maine Media Workshop – College filmmaking and photography school in US – teached by Kerry Hayes (Pacific Rym, X-Men, Miss Sloane…). In 2009 Eric was awarded Wedding and Portrait Photographer International. 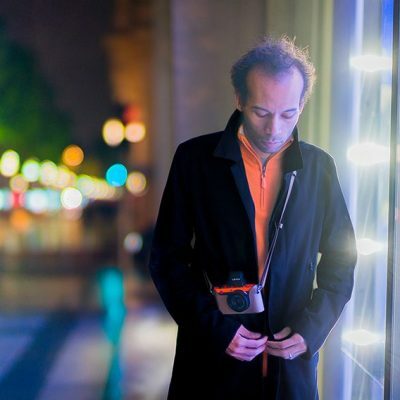 After 10 years succeeding in Luxury Wedding Photography, shooting with the number #1/10 of a very rare Leica M LeMans edition, he sold his Company, Tophos. Today, geared with his Hasselblad Medium format, he focuses on glamour and sensual portraits. As an instructor in Digital Photography, Eric also provides Workshops from beginners to more advanced levels, including shooting, editing, retouching and publishing. Copyright © 2018 Eric Ramahatra - All Pictures Reserved. Do not use without permission.